On today’s Network Break we examine Bloomberg’s controversial claim that China implanted microchips on Supermicro motherboards to spy on US businesses and government agencies. We also drill into news from Edgecore Networks, Cisco, and the Wi-Fi Alliance. Today’s Network Break delves into news from Microsoft Ignite, including a virtual network tap in Azure and SD-WAN integrations. SolarWinds aims to go public, Michael Dell touts public cloud repatriation, and more tech news. Stay on top of the latest IT news with Network Break. Today’s episode examines Linus Torvald’s public apology, new edge software from Juniper, AWS hardware for the enterprise, the latest VMware hybrid cloud partnership and more tech news. Network Break reviews the latest IT news. On today’s episode Cisco upgrades its ASR 9000 platform, Arista buys a maker of FPGA-powered switches, mobile carriers partner on an SSO service, Marvell steps away from programmable ASICs, and more. 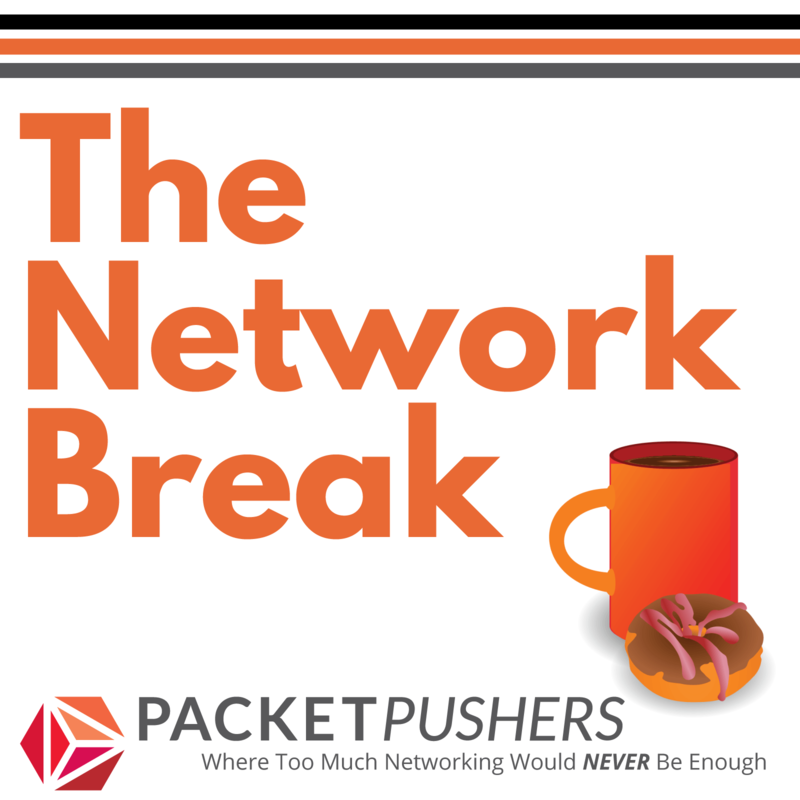 Today’s fully caffeinated Network Break episode examines an Azure outage, a NIST specification for BGP security, eBay’s open-source server design, and more tech news. Then stay tuned for a sponsored Coffee Talk with 128 Technology on session-oriented routing. Cisco ships Viptela SD-WAN and it will run on existing models of ASR/ISR routers which is excellent news for customers. Here’s hoping that Cisco spent time on code quality and reliaability. Listen to the latest Network Break podcast for analysis on big acquisitions from Cisco and Arista, the latest IaaS market share numbers, Google’s reportedly censor-friendly search app, and more tech news. The latest Network Break podcast analyzes Google’s embrace of hybrid cloud, Gigamon’s Icebrg acquisition for security analytics, a scrapped Qualcomm deal, and more tech news. Take a Network Break! Today we analyze Dell’s return to the public market, Vodafone’s optical whitebox tests, an LTE vulnerability & more tech news. Find out why Juniper supports EVPN and VXLAN in the campus, what Extreme Networks is doing at the edge, who’s pushing fog computing & more tech news analysis in the latest Network Break podcast. Take a Network Break! We analyze Aruba’s launch of SD-Branch, Cisco’s acquisition of a WiFi location services company, ATT’s sale of dozens of data centers, and more tech news. Today’s Network Break analyzes all the happenings from Cisco Live US 2018, plus the latest from VMware, LiveAction, Comcast and other tech news. Today’s Network Break discusses proposed tariffs against Chinese tech imports, an FBI advisory about the VPNFilter malware, and more tech news. Today’s Network Break discusses the VPNFilter malware, GDPR’s official debut, HPE’s latest quarterly financials, and more tech news. Today’s Network Break podcast discusses HPE’s Plexxi acquisition, new Cisco security advisories, the latest chapter in the ZTE saga, Intel’s new CPE reference architecture, and more tech news. In this week’s dose of tech news, Arista challenges Cisco in the campus with a new core switch, Qualcomm reconsiders server chips, Google buys a cloud startup & more on Network Break. VMware unveils the scope of its networking vision, Cisco buys into relationship intelligence, Arista & Juniper reveal Q1 finances & more tech news on today’s Network Break. On today’s Network Break we dive into US and British hacking accusations against Russia, the US vs. ZTE, a new Cisco chip, and other tech news.